Drug companies are notorious for doing all they can to keep their medications as expensive as possible, and even drug coupons promising big savings are part of this strategy. In news that will surprise very few people working in healthcare or the insurance industry, a study published this month in the National Bureau of Economic Research has found that drug coupons actually raise healthcare costs by steering people towards more expensive brand-name medications even when generic, less costly alternatives are available. Brand name drugs, according to the United States Food and Drug Administration, cost an average of five times as much as their generic counterparts, even though most researchers agree that generic and brand-name drugs containing the same molecules are basically the exact same product. Brand-name companies have nonetheless made use of patents over the years to squeeze out their generic competition. But even when generic brands are in fact available, drug coupons may keep patients hooked on their brand-name counterparts, the research shows, through use of coupons. The problem with these immediate savings brought by coupons, the researchers say, is that the popularity of coupons ultimately raises health care premiums for everyone in the long run because insurance companies continue to pay the same higher rate for brand-name drugs. Leemore Dafny, a professor at the Harvard Business School, teamed up with Kellogg School of Management professor Christopher Ody and UCLA Anderson School of Management professor Matt Schmitt to study consumers’ use of drug coupons in a three-year period, from 2007 to 2010. Technically called “copay coupons,” the savings offered in drug coupons are covered not by the drug makers who are offering them but by the insurance companies. "I think it’s kind of this basic insight that, while these coupons seem very basic or tame at first blush, it could contribute to higher pharmaceutical spending,” Schmitt tells ConsumerAffairs. In fact, previous published research, including a 2013 study in the New England Journal of Medicine, has similarly found that coupons do not offset healthcare costs overall, and that most coupon deals are only available for a year or less anyway. Because Medicare patients are banned from using drug coupons, Schmitt and his fellow researchers in this more recent study used publicly available Medicare data to compare drug spending, and they only studied drug coupons for which a generic drug alternative was available. Their analysis found that coupons for brand-name drugs put a bigger strain on insurance companies by deterring people from generics. “We find that coupons increase branded sales by 60+ percent, entirely by reducing the sales of bioequivalent generics,” the researchers write. In total, they estimate that drug costs increased on the low end by $30 million, or on the high end as much as $120 million, all thanks to those coupons. "Insurers get stuck paying for very high-cost, branded medicine even when cheaper alternatives like bioequivalent generics are available,” Schmitt says. "Of course [individual consumers] benefit from using a coupon, but society as a long run, we think these coupons are very likely contributing to higher pharmaceutical spending." Health insurers and others have complained long before this recent research about the ineffectiveness of drug coupons in lowering healthcare premiums. “Rather than actually taking steps to address the real problem of soaring drug prices, pharma companies try and cover their price hikes through patient assistance programs and copay support. None of which will make a drug more affordable for the people who need it most,” Clare Krusing, a spokeswoman for America's Health Insurance Plans, an industry trade group, told WebMD last August, when news of soaring EpiPen prices enraged the masses. Of course, the line between generic drug makers and so-called brand name manufacturers can be easily blurred, as EpiPen maker Mylan Pharmaceuticals demonstrated this summer. On August 29, Mylan responded to public criticism to its price hikes with an announcement that it would launch a generic EpiPen to be sold at $300, or 50% cheaper than its brand name EpiPen. The news came several days after Mylan had already offered some patients a 50% coupon on the brand-name version of the EpiPen, but that announcement received quick criticism from lawmakers who similarly noted that health insurance companies would not see the benefits of any of those savings, keeping insurance premiums high for all consumers. 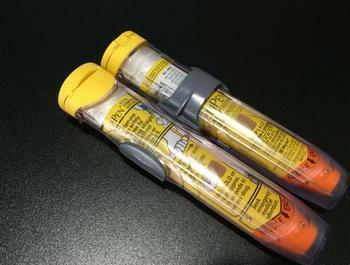 Schmitt describes Mylan’s generic EpiPen as an “authorized generic,” or a drug sold by a maker who also sells the authorized patent version of the same drug. 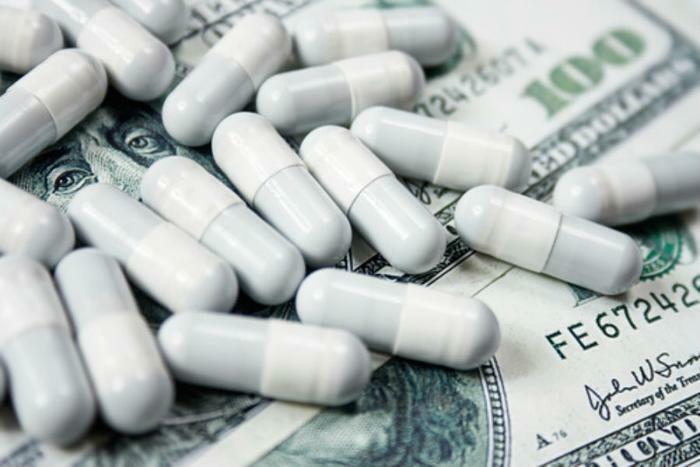 Biologically, the two drugs may be virtually the same, but the fact that Mylan is now offering its product at a cheaper price to both consumers and insurers is a step in the right direction, Schmitt says. Mylan may have previously misclassified itself as a generic drug company in order to participate in state Medicaid programs, according to a recent, damning congressional investigation. Yet since 2007 Mylan has also raised the price of its EpiPen by over 400 percent and appears to have promoted itself as a brand-name producer in its recent offering of an alternative "generic" EpiPen option. "There's no justification for increasing the price that much when the quality of the product hasn't changed one bit," David Merritt, a spokesman for America's Health Insurance Plans, tells Consumer Affairs. "I think the description of the producer matters far less than the actions they have taken."